You can view and modify your payment information by using Manage Subscription, or you can contact us for assistance. If you purchased your subscription with a credit card, you can access your receipts at any time. 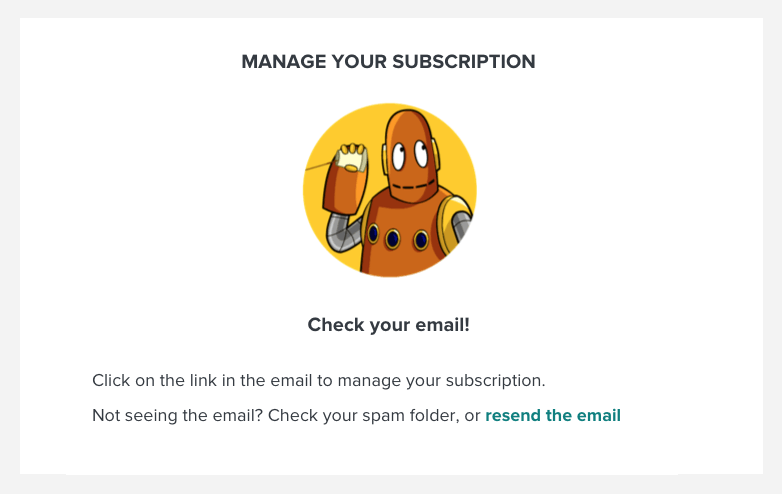 Click Manage Subscription in the footer of the homepage. Enter the username, password, and email address you used to sign up, and click Email Subscription Link. 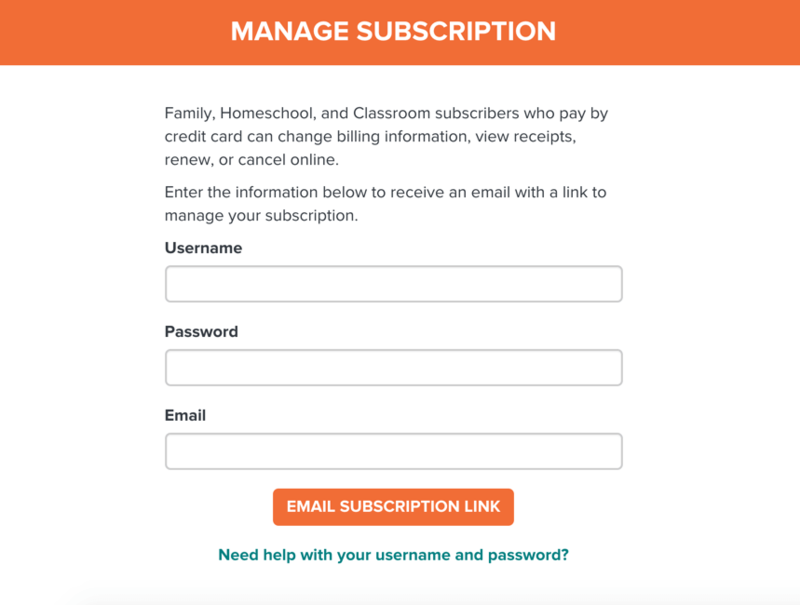 You will receive an email containing a link to manage your subscription. Click the link in the email. 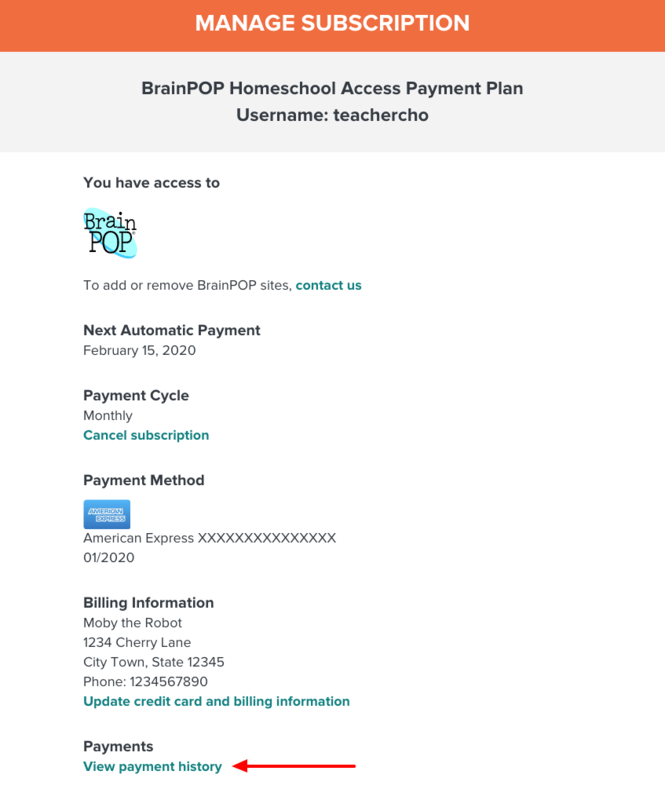 Your BrainPOP receipts will appear in PDF format. If you submitted a purchase order for a subscription, we will email an invoice to the primary contact listed on the account, as well as mail a hard copy to the billing address listed on the account. You can also Contact Us for a subscription invoice. NOTE: If you purchased with a credit card and your account is set to automatically renew, the link will read Update Credit Card and Billing Information. Click Update Credit Card and Billing Information. How can I get a receipt for reimbursement by my school? If you paid for your subscription with a credit card, go to Manage Subscription and follow the steps above.